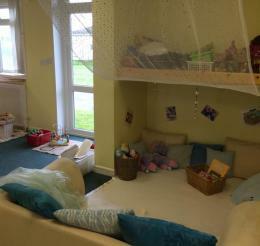 The Explorers room caters for up to 15 children, with children generally accessing this room from 12 - 14 months of age. This is usually around the time that they are up on their feet and beginning to build confidence. It has a separate dining room, sleep room and bathroom with nappy changing facilities. Children have opportunities to become independent by having a continuous provision of resources, stored at their level, so they can access them freely. 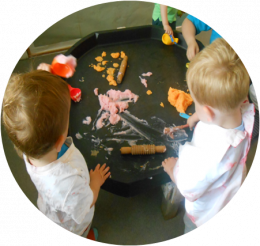 The development of their social and physical skills is encouraged through the wide range of equipment available to encourage sharing, group play and stimulate small, enquiring minds. 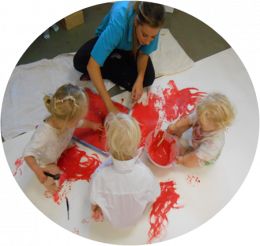 Varied activities such as creative play with paint, gloop and water, role play, books and stories and heuristic play, along with many activities outdoors are designed to promote the children’s well-being and development. 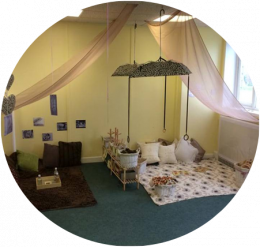 The warm, caring atmosphere encourages each child to confidently try out new experiences.